Vicki Burke is a musician and healer and has been working with sound healing for the past 15 years, in particular with her harp. She also composes songs for voice and harp and has expanded her writing into healing books and plays. Tareth is a healer and teacher of awakening your inner light. He has the ability to manifest the spiritual world in a physical way, including sounds that are the soul in all creation. He sees this as simply to help open the doors of the mind, his purpose is to help others discover their own gifts and to be free to expand and discover the beautiful souls they are. 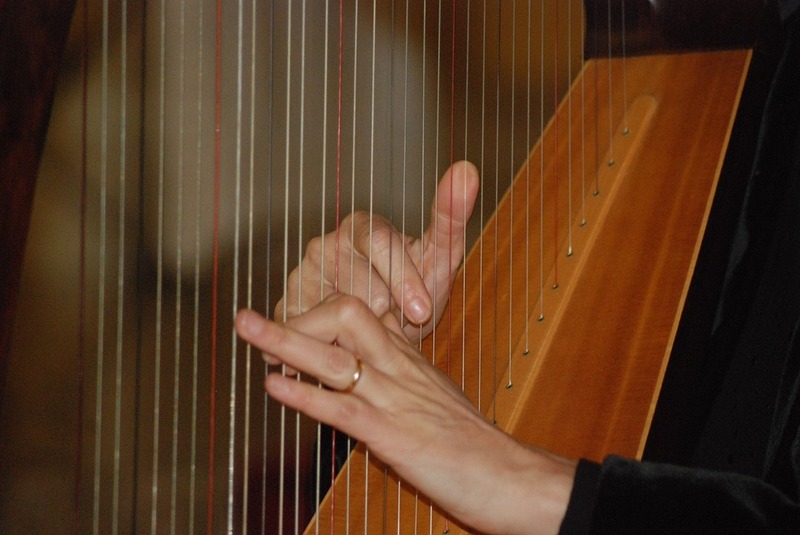 Vicki will work with the important quality of the harp that allows the hidden harmonics (higher frequencies) to be fully available. You will be invited, with a simple but deep meditation, to engage with the higher dimensions of the harp’s vibrations and in doing so feel how this can create healing in your body. Tareth will guide you into some simple alchemic processes to make a deep connection with your inner wisdom and soul guidance this will include some toning. Vicki and Tareth will join and help us celebrate the soul of divine love that we all are. In this joining there is the possibility of Tareth manifesting sounds of the soul and the healing alongside Vicki playing her harp. This will be mostly an experiential evening, sharing the inner feeling of being a soul community.